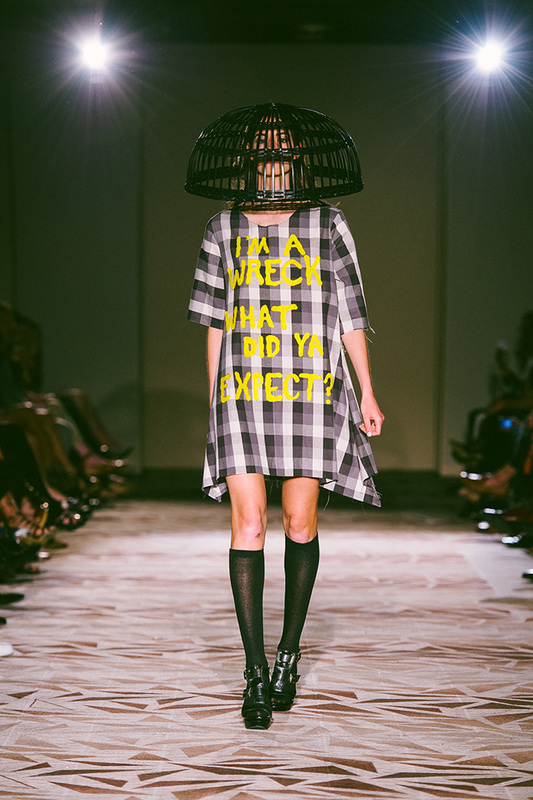 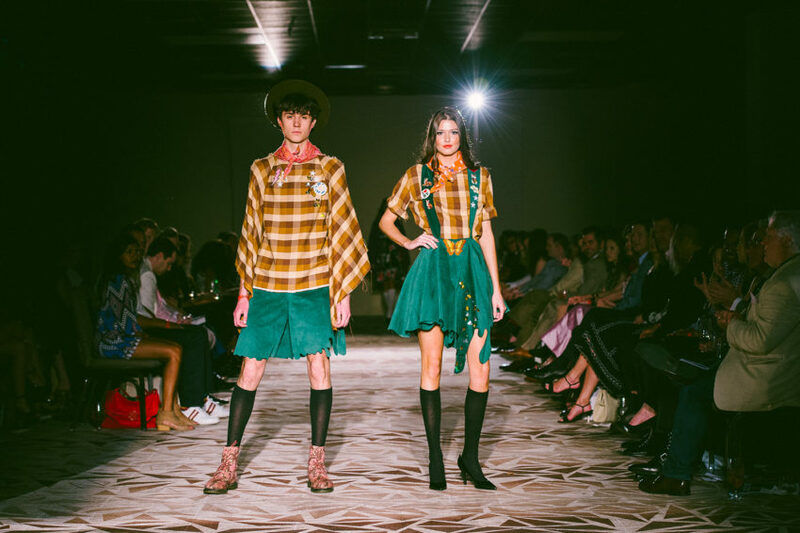 A collection that is anything but boring, THIS IS SLOANE brought zany character to Austin Fashion Week 2016. 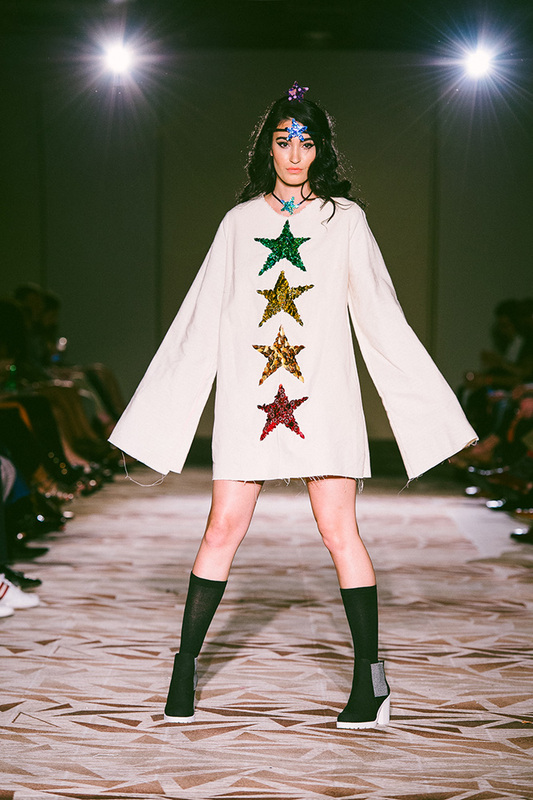 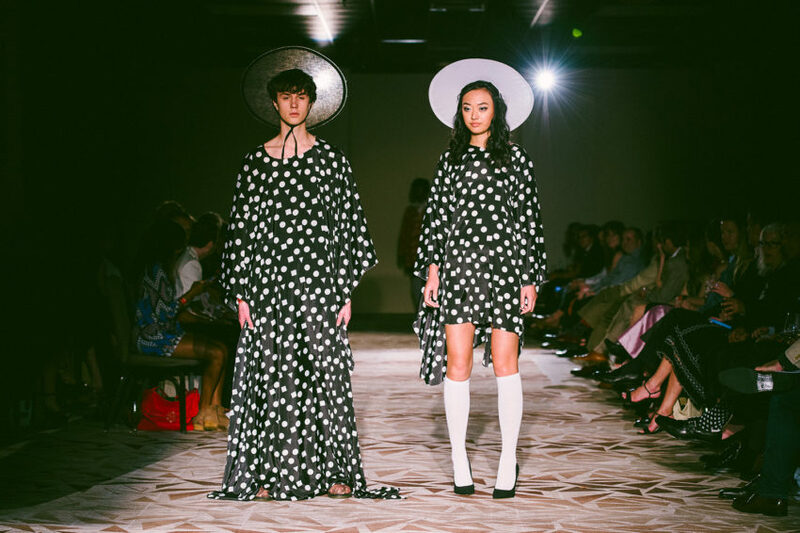 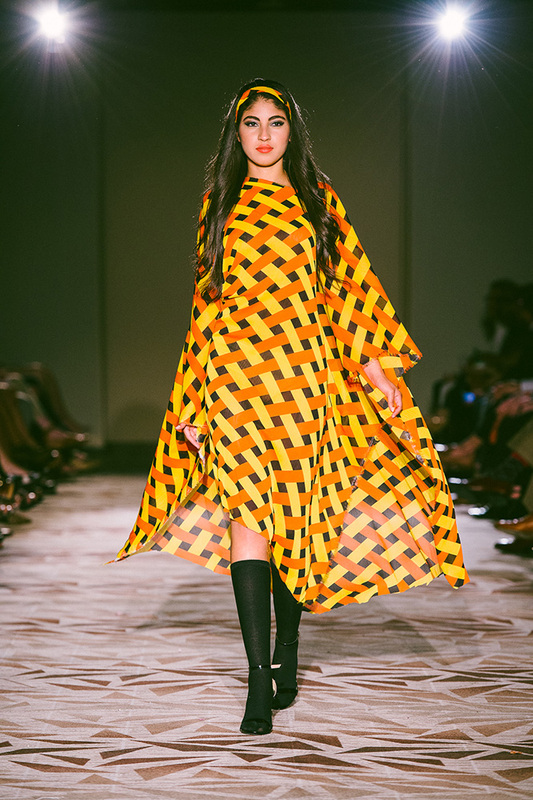 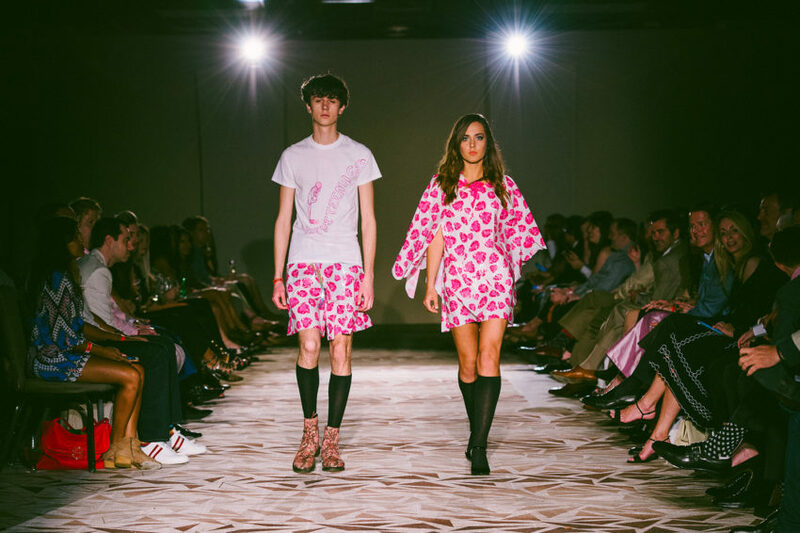 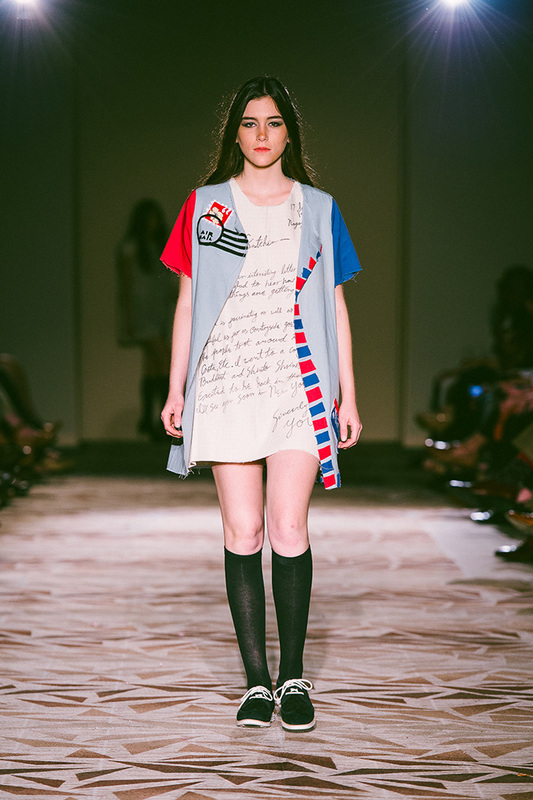 The playful runway line-up by 20-year old designer and Austin resident, Sloane Lenz, was inspired by the life of one of her eccentric relatives in New York in the 50’s, 60’s and 70’s as she imagined it. 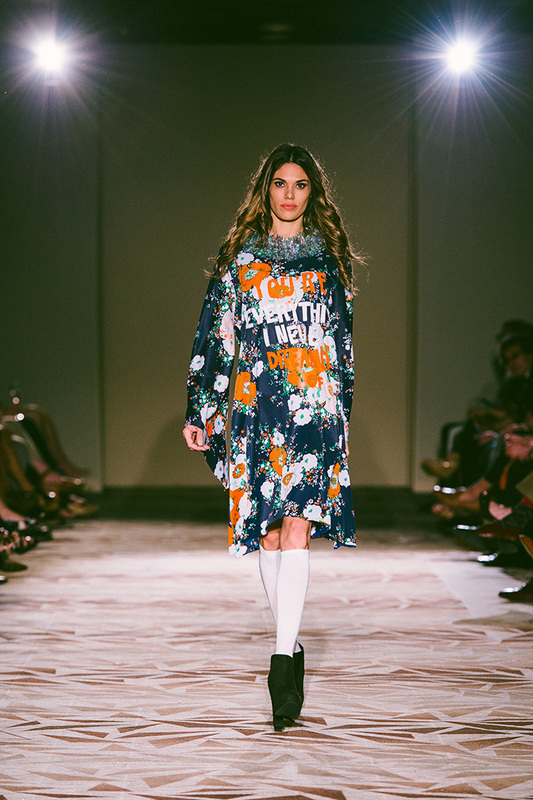 The dreamy details play out on the runway with a sense of humor and boldness that demonstrate this daring, youthful artist’s passion to create and express art with no bounds. 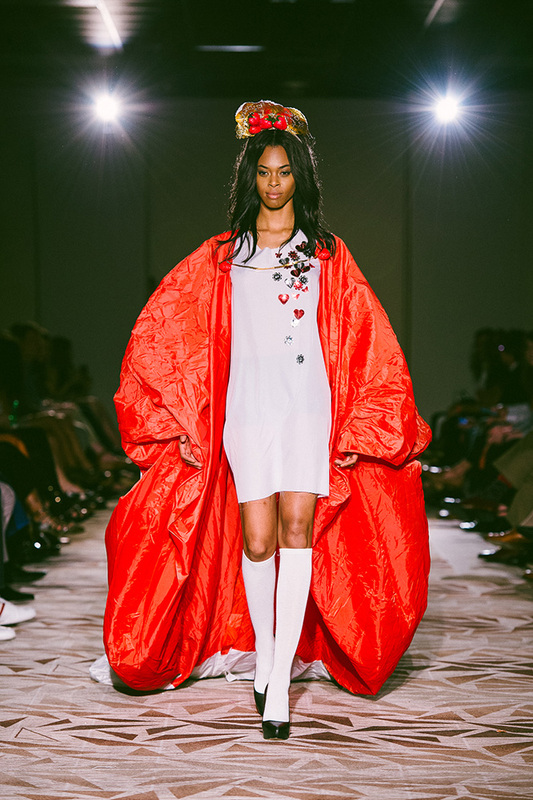 Sloane learned to sew at eight years of age and first began crafting unusual frocks made from materials sourced at her local grocery and hardware store. 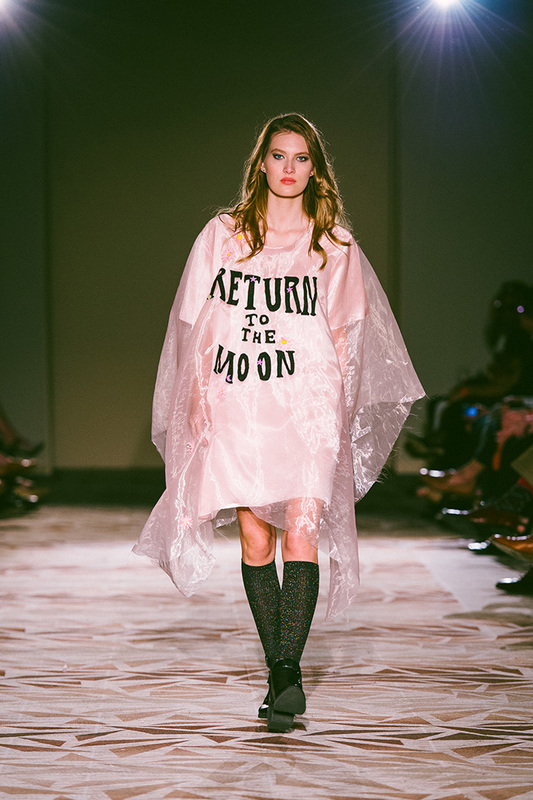 Over the years, she has developed a preference for plastic and canvas. 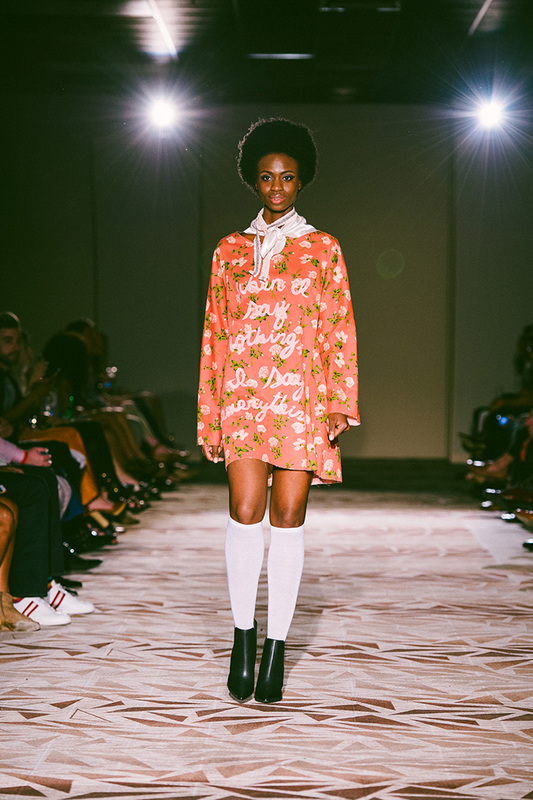 The avant-guarde artist has also dabbled in blogging as co-founder ALLUMER which covers music, style and culture.